Partly cloudy this evening with more clouds for overnight. Low 59F. Winds SSW at 10 to 20 mph.. Partly cloudy this evening with more clouds for overnight. Low 59F. Winds SSW at 10 to 20 mph. 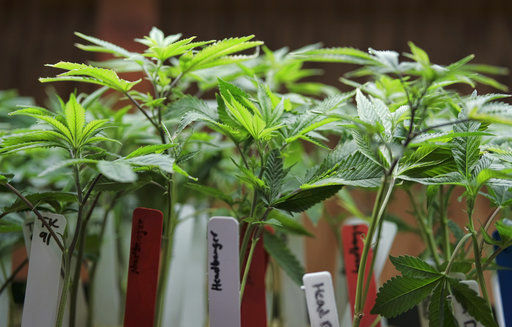 Marijuana plants for sale at the ShowGrow dispensary, a medical marijuana provider in downtown Los Angeles on April 15. One "lawmaker" claims that only certain neighborhoods should get dispensaries. Her claim is that the war on drugs was basically a racist attack on a specific race. Does the math add up here? Here is a list of drug crimes by county. I included the percentage of white people in the state and the percentage of white people by county. I also included the percentage below the poverty line. I would introduce a bill to sell Chicago and its legislators to Wisconsin. Sale price: $2. South of I-80 is completely and totally ignored by them anyway.